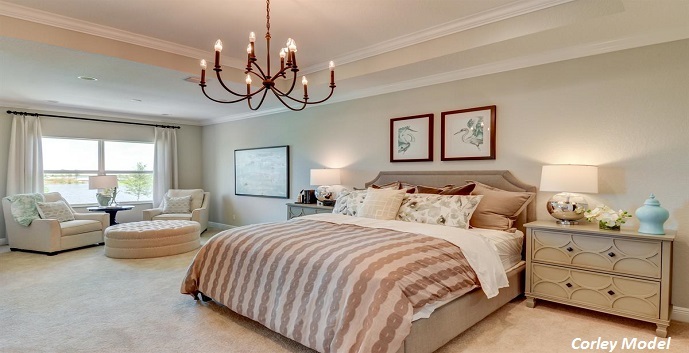 Arden is a one of a kind new construction community coming to the western area of Palm Beach County that can be found by driving west on Southern Blvd, past Lion Country Safari. 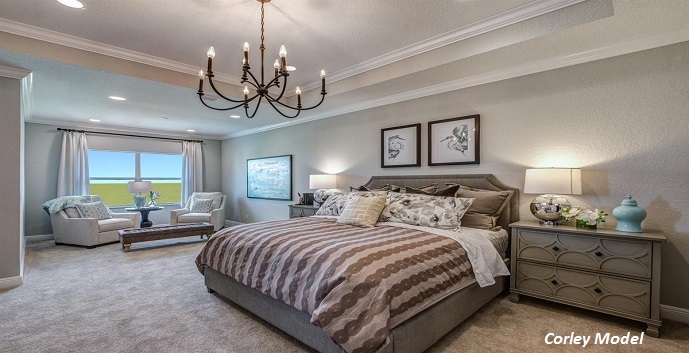 Arden construction is under way and will be offering 2000 new home sites spread across 1200 acres. 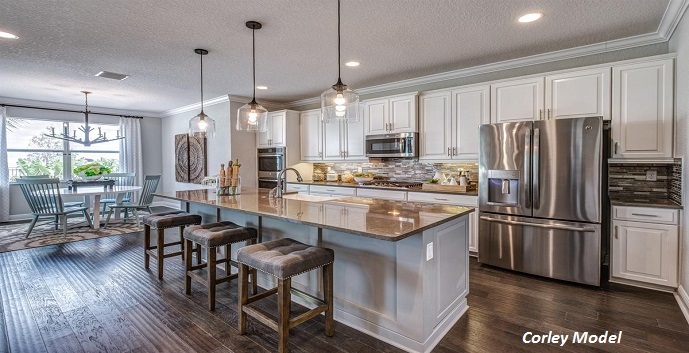 The developers of Arden are focused on a “connect with nature” theme throughout the community with portions of the land dedicated towards farming, local harvesting events and a public use barn. 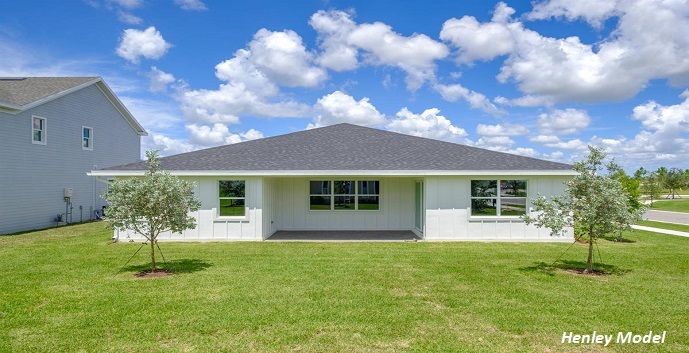 Residents will have the opportunity to partake in harvesting and specialized cooking classes using the produce grown onsite. 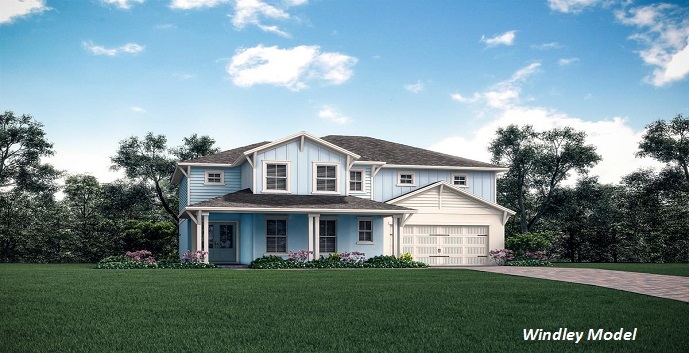 The community will include 19 miles of walking and biking trails as well as a massive lake with boat ramps for canoeing and kayaking. 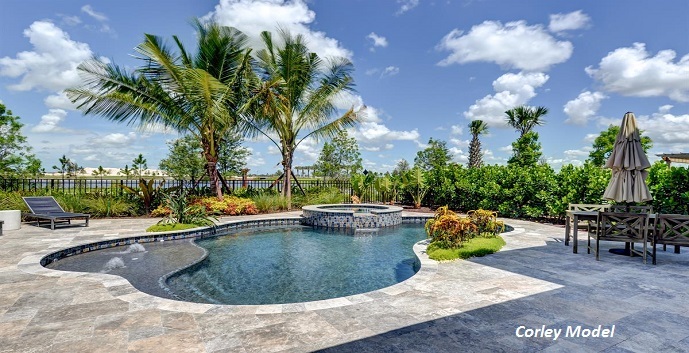 There will also be a clubhouse with pools and cabanas, a state of the art fitness center and a playground with playing fields and sports courts. 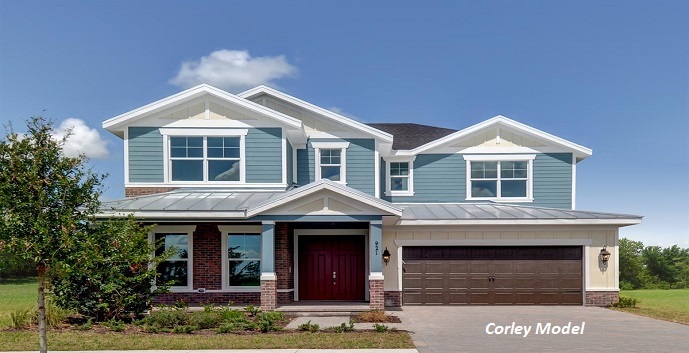 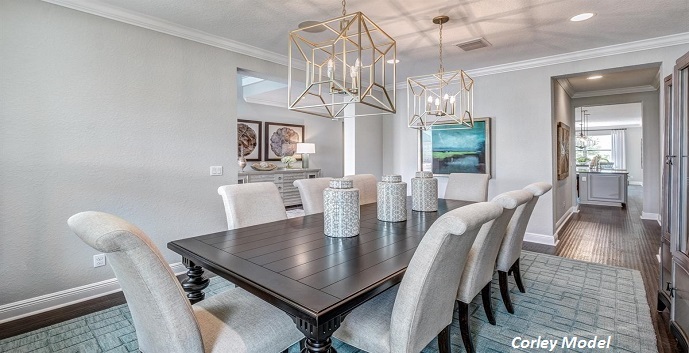 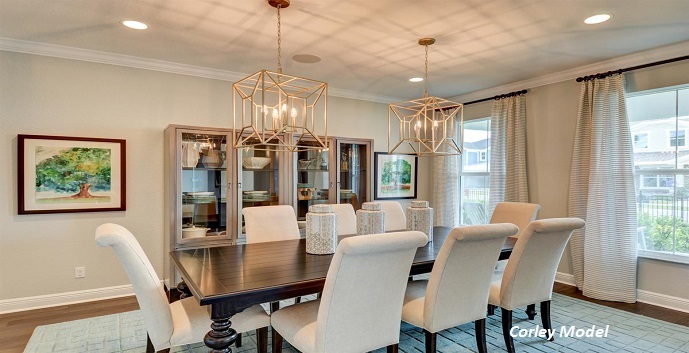 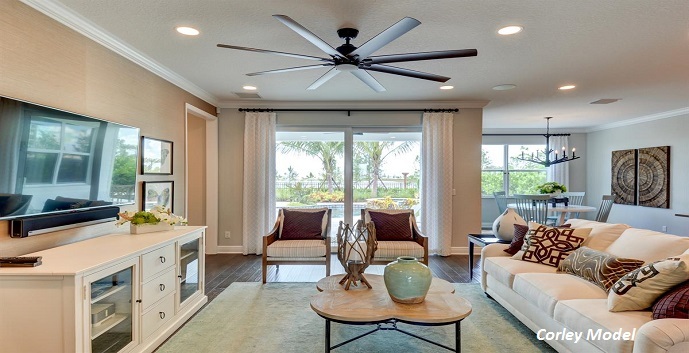 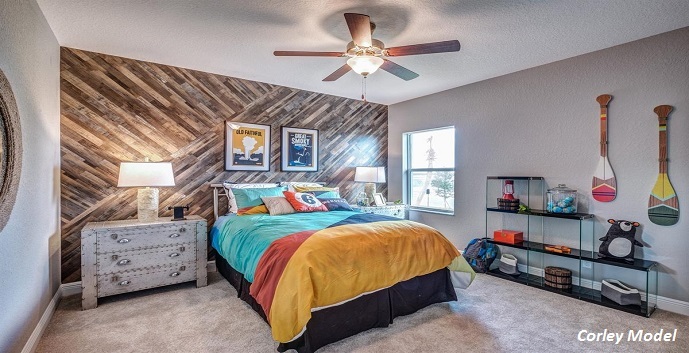 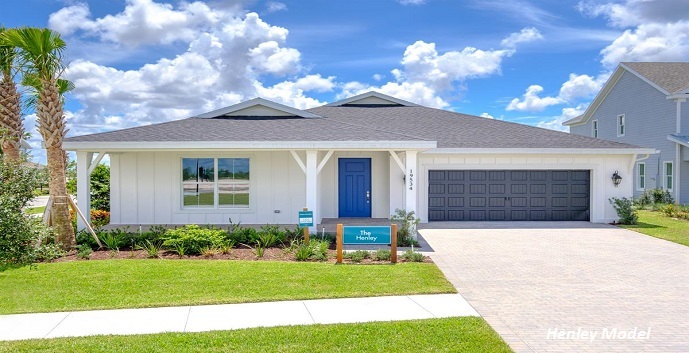 The 2000 home sites will be divided among the Artisan Collection by Ryan Homes, the Homestead Collection by Ryan Homes and collections by Kennedy Homes, Lennar Homes and Kenco Communities. 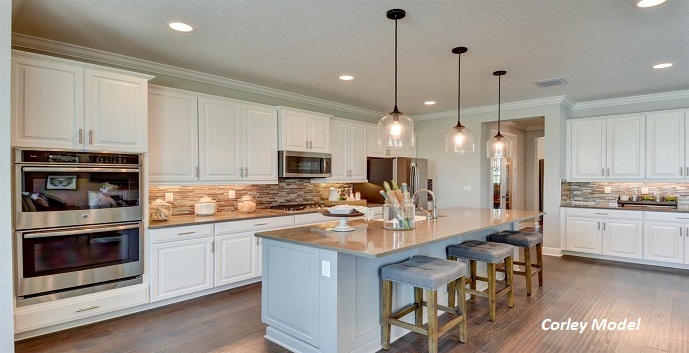 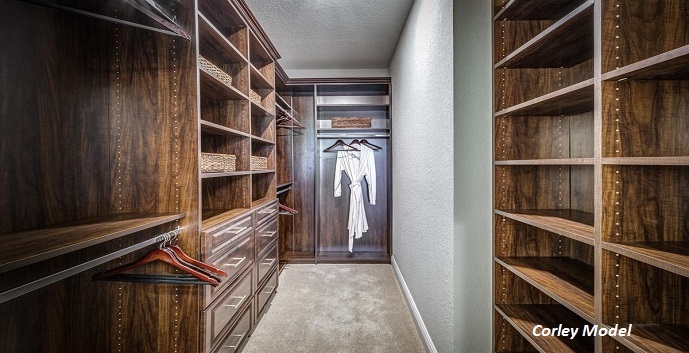 Homes will range in size from 1,600 square feet to over 4,000 square feet with a high focus on meeting the needs and expectations of today’s home buyer. 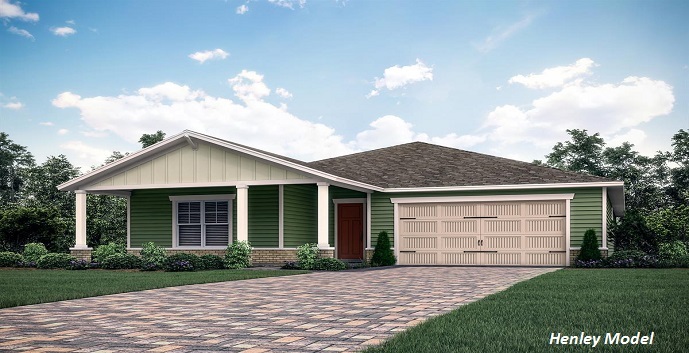 The Homestead Collection by Ryan Homes at Arden will offer three single family home models ranging in square feet from 2585 to 2950 with 3 bedrooms and 2 baths up to 4 bedrooms and 4 and ½ baths with either 2 or 3 car garages. 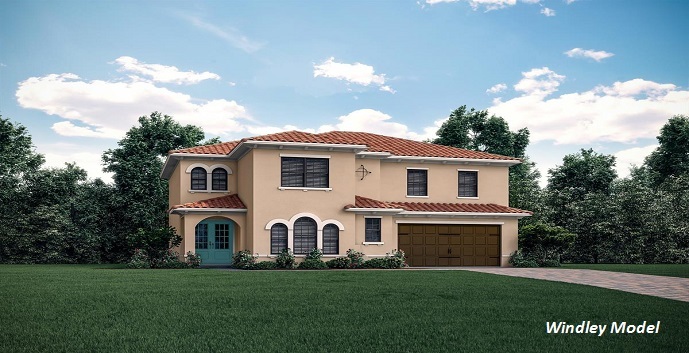 The homes will feature interior finishes such as 42" cabinets with crown molding, stainless steel appliances, recessed kitchen lighting, granite counter tops and covered lanais. 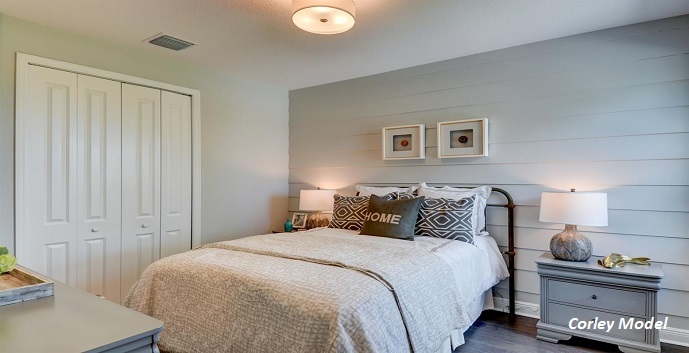 All homes will have access to the A-rated Wellington school zone and are built to exceed energy efficiency standards. 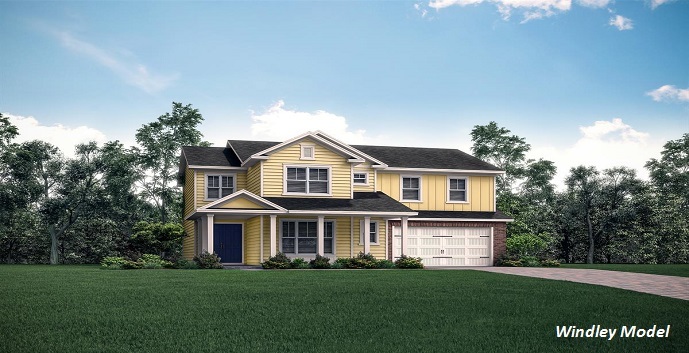 The community will also offer a 5 acre farm, mile long lake, resort style pool, fitness center and tot lot playground. 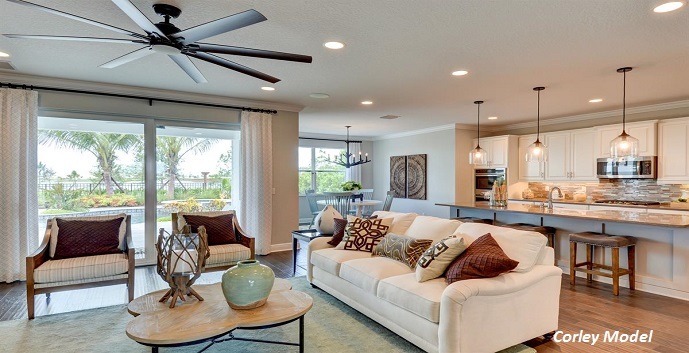 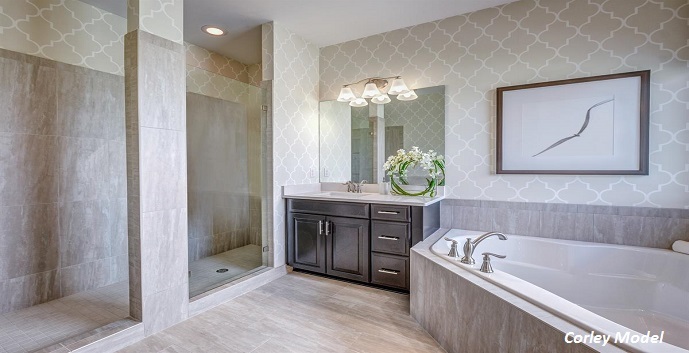 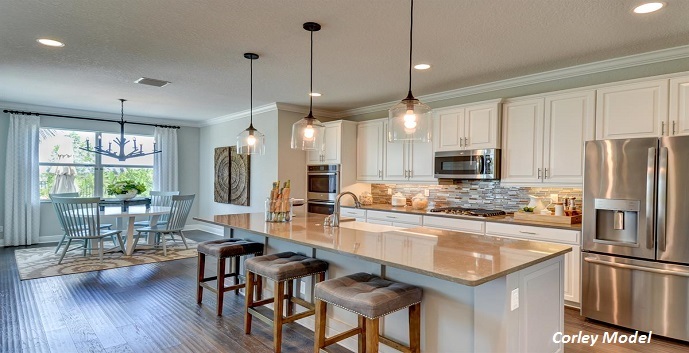 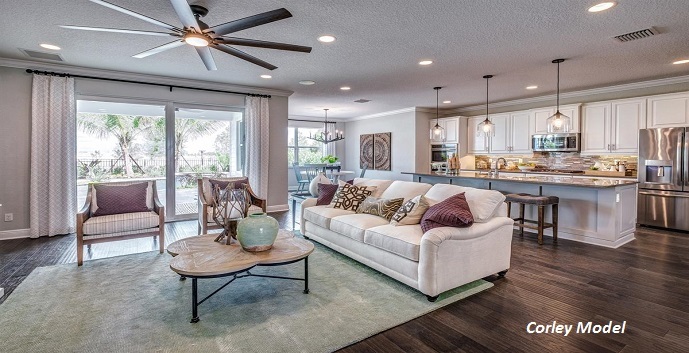 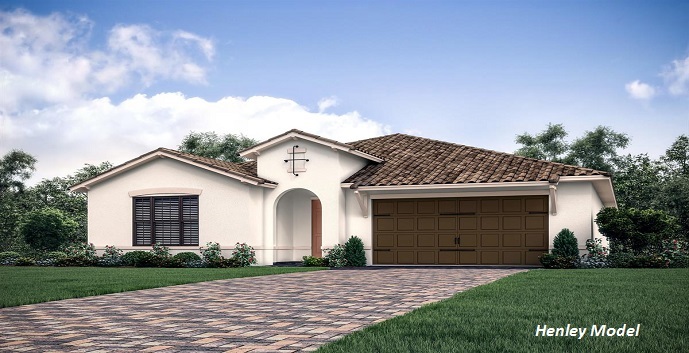 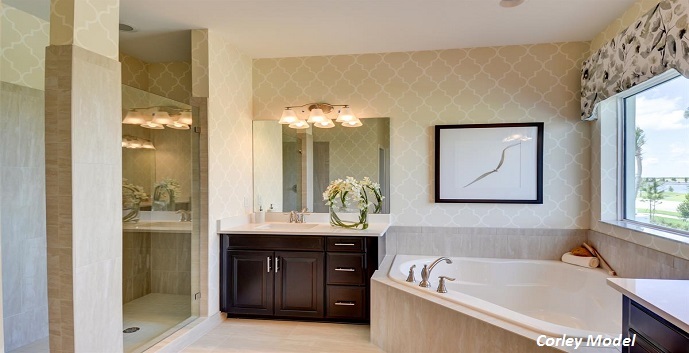 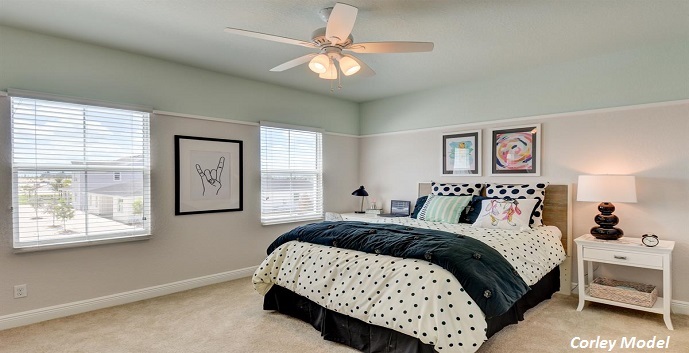 Arden Homes Homestead Collection by Ryan Homes offer 3 models to chose from. 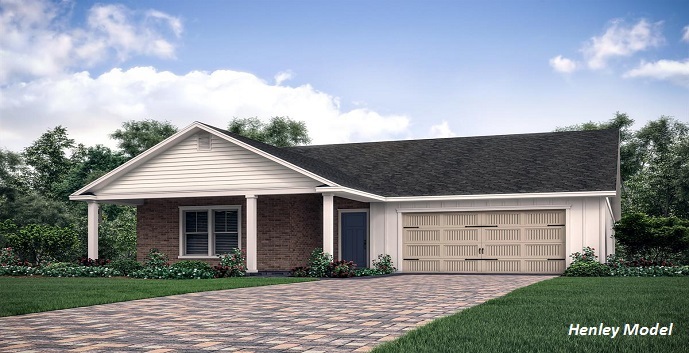 Corley - 2 story homes offering 4+ bedrooms, 2+ bathrooms, 1+ half bathrooms, great room, dining room, informal dining room, covered porch, covered lanai, optional bath 2 with shower, optional owner's bath with tub and shower, optional first floor suite, optional sitting room, optional extended covered lanai and 2 car garage with tandem garage. 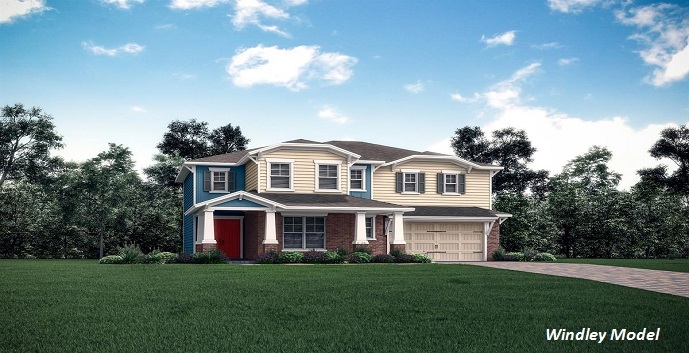 Henley - 1 story homes offering 3+ bedrooms, 2+ bathrooms, great room, dining room, dinette, entry w/ foyer, covered lanai, optional study, optional owner's bath, optional 4th bedroom and 2 car garage. 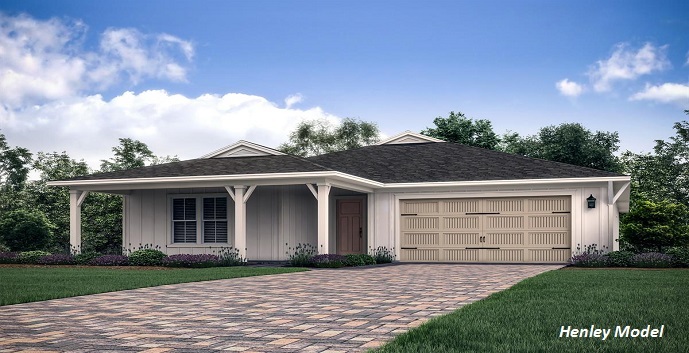 Antigua - 1 story homes offering 3+ bedrooms, 3+ bathrooms, great room, dining room, lanai, optional bonus room, bonus bedroom, optional luxury owner's bath and 3 car garage.